Here are my 10 favorite skincare products that I’ve tried and fell in love with, in a list to share with you all. I have purchased the full size of some items in the list and wish that I could buy some other items from the list 🙂 This is a list of the the very best of 2018 skincare items from IcanGWP! Enjoy! 1. BARBARA STURM Face Cream Review Full size $215 for regular and $230 for rich This post may contain affiliate links. Read the full disclosure. Ren Skincare Winter Sale 2018 has begun and you’ll get new products Glow Daily Vitamin C Moisturizer minis (launches in January) plus extra perks with your purchase. Sephora Canada has great Boxing Day Sale $25 kits and new Sephora Favorites Fresh Face $30 at Sephora USA! REN — Shop 30% off Holiday Gift Sets and 20% off Bestsellers at the REN Clean Skincare Winter Sale. Price as marked. Offer valid through January 1st. This post may contain affiliate links. Read the full disclosure. Bluemercury Holiday Beauty Event has begun, get these 18 freebies with your $150 purchase + extra 10% off all beauty! This is a better than Cyber Monday offer from Bluemercury, don’t miss out. Bluemercury Gift with Purchase Bluemercury (NEW)(HOT) GIFT 1: Receive 18 FREE deluxe beauty samples with your $150 or more purchase. No code required, online only. Valid 12.20 – 12.23. This gift bag was the Cyber Monday offer with $175 purchase! UPDATE– GIFT 2: Today only get $20 promo card on any $100 purchase. This post may contain affiliate links. Read the full disclosure. Estee Lauder holiday fragrance gift 2018 is back! This year, you’ll get to choose these beautiful 6-piece gift from Estee Lauder on any $55 fragrance purchase. Available now at Macy’s, Estee Lauder Direct , Belk, and Lord & Taylor. Belk is running $15 off $75 and Lord & Taylor is running 15% off all beauty. If you haven’t grabbed the hottest Estee Lauder Holiday Blockbuster 2018 yet, they are back at Macy’s and Belk. This post may contain affiliate links. Read the full disclosure. RUN! This is one of the best holiday beauty gift offer that are totally free with your $100 purchase at Nordstrom Beauty worth over $196! Don’t forget to set your Personal Double Points Day this year! Let me start from the free NORDSTROM holiday beauty gift bag #1 Nordstrom Christmas Beauty Shop – Nordstrom holiday beauty gifts! Our Final Shipping Countdown Has Begun!!! Order by noon ET on December 18th for Free Delivery by Christmas Eve! This post may contain affiliate links. Read the full disclosure. If you are looking for Christmas makeup gifts, Lipstick Queen have a huge sale and free makeup gift. You can get full size Lipstick Queen Sinner – matte 90% pigment lipstick for only $4.80 reg $24!! Lipstick Queen (NEW)(HOT) GIFT 1: 20% Off All Lipstick Queen Orders. This offer includes all up to 75% off sale items. No code needed. Don’t Delay Your Last Minute Holiday Gifting. This post may contain affiliate links. Read the full disclosure. Lipstick Queen is offering FREE Lipstick. Receive a complimentary full size Chess Queen lipstick (worth $24) when you purchase any Lipstick Queen gift set, ends 12/19. Holiday gift sets includes three Drops of Jupiter duo sale items that are $11.25 now! Plus, Lipstick Queen Flash Sale lipstick starts from $5.50! Ships to several destinations including US, UK and more. Only at Lipstick Queen! This post may contain affiliate links. Read the full disclosure. Looking for Holiday beauty with perks… you deserve this! B-glowing December Beauty Bundle worth $240 with $175 purchase — see coupons to get it with $122.50 below! b-glowing (NEW) Receive a free 18pc B-glowing Winter Beauty Bundle (a $240+ Value) with any $175 purchase. 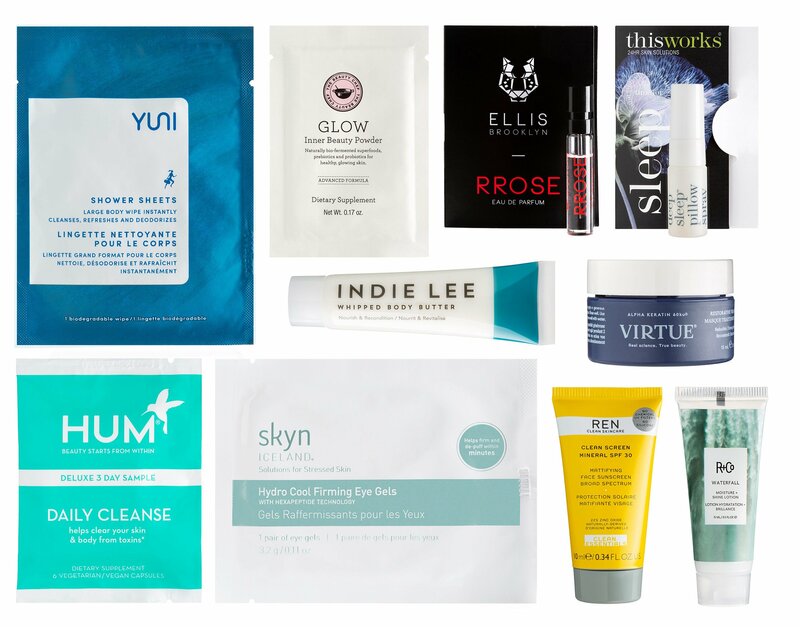 It’s our best Beauty Bundle yet and we’re including all your favorite brands. Valued at $240, this can’t-miss gift is your chance to get a FOREO + 3 full size products including fan-favorite Skindinavia. We’ve stuffed this year’s bundle to the brim with picks from Stila, Caudalie, Oribe, + more. This post may contain affiliate links. Read the full disclosure. Welcome to my Bond No. 9 Park Avenue South Scented Candle review. Bond No. 9 candle is unquestionably best in class. Bond No. 9 – Bond No. 9 Park Avenue South Scented Candle is not a spa candle nor a hotel scent candle but a super high-end discreet candle. The scent is intoxicating, vibrant and airy. It is inviting scent that would definitely fit well when placed in a living room or bathroom, the potential is endless. This ultra luxe scent-sational candle would be the perfect gift for yourself or someone you love this holiday! If you are big into luxury candles, you may be the next Bond girl! Press Sample / This post may contain affiliate links. Read the full disclosure. I’ve rounded up the very best and new holiday beauty boxes and holiday beauty gift sets including new Sephora advent calendar 2018, Barneys Holiday Beauty Boxes 2018, Burberry Beauty Box, and a lot of top notch holiday gifts from top department stores with coupons and freebies. Below is a roundup of gift sets for you to shop, either for the beauty lover on your list or for yourself — just forward the post to him! Sephora and Sephora.ca — Sephora Favorites 12 Days of Masking $48 This post may contain affiliate links. Read the full disclosure.